World Building Institute | Email Blast! Only two weeks left to apply! The Berlinale – the Berlin International Film Festival – is a source of inspiration in the global film community: film programmes, workshops, panel discussions, joint projects with other social and cultural actors – the forms of cooperation and the possibilities for creative interaction are countless. Within the festival, Berlinale Talents brings high profile professionals attending the Berlinale to workshops and discussions with 300 promising young film talents from all over the world. Both sides benefit. The talents profit from the experience of the professionals, who in turn gain fresh ideas from taking part. For the past 6 years, the USC World Building Institute has partnered with the Berlinale Talents at the Berlin International Film Festival to present the most current, innovative discussions and workshops about production design, narrative design, and world building. Once again, in 2016, the Berlinale Talents in collaboration with USC WBi presents the Production Design Studio, a powerful immersive Worldbuilding interdisciplinary program. The World Building Institute has places for up to 14 international production designers, cinema and post-cinematic artists and designers for the Production Design Studio. 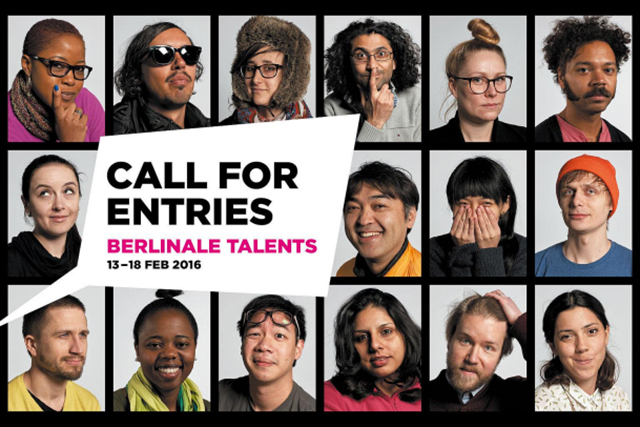 This is a call for entries for the 2016 Berlinale Talents. This annual assembly of 300 young filmmakers are chosen from over 2000 applicants from over 75 countries. For any of the WBi network who will be in Berlin in February 2015, you are invited to come and engage in the longstanding partnership between the USC World Building Institute and the Berlinale Talents, and the public events associated with this discussion. Save the date! July 14, 2015. Bogotá. The exploration continues. The Rilao Project, focused on the fictional city of Rilao formed on a small archipelago from the chance encounter of the DNA of Rio de Janeiro and Los Angeles, continues to expand around the world. In the frame of the BOGOTA AUDIOVISUAL MARKET, one of the most important cinema markets in Latin America, game designer Joseph Unger (Pigeonhole Productions Chief Design Officer) joined Juan DiazB (Colombian filmmaker, world builder and lead curator for World Building Institute Europe), to collaborate in the first WBi event at the BAM, in a vast immersive world building workshop. The event started with a World Building panel and introduction to world building to over 200 participants of the BAM, causing great excitement around world building as the definitive narrative practice for the challenging and exciting new media landscape. Following the panel, over 50 filmmakers from all over Colombia and Mexico engaged in the exploration of Rilao, during a two day session that increased our knowledge of the Island and added to the continuing development of the Museum of Rilao and its Universalis Encyclopedia, a master guide to the discoveries of our various expeditions to unveil Rilao´s mysteries. The workshop made rich use of the dynamic game structure and prompts of Jeff Watson's Rilao Remote Viewing Protocol, initially co-designed with Alex McDowell for the Rilao Project at the Wbi 2015 Science of Fiction Festival. These evolving World Building workshops continue to challenge the traditional film narrative practice, creating a holistic network between dynamic & highly collaborative world building ‘cells’ that together develop multi-stranded woven narratives for a unique world. The interconnecting groups tap the various perspectives and approaches to allow a deeper knowledge of the Storyworld and the emergence of more complex exploratory vectors of the world of Rilao. Starting with a remote online overview of Rilao´s history by USC professor Alex McDowell RDI, the first day was set to explore Rilao´s past, culminating the session with a shared overview of the multiple findings of the world across several domains. Building on that exploratory base we engaged in prototyping Rilao´s future during the second day, connecting past history to the research of the future of the South Pacific archipelago. The conjoined groups created a fluid and volumetric narrative development, highlighting the organic and emergent nature of stories in a worldbuilding process. We finished the two days with a group session to share all the encyclopedic entries and to revise the connection of the multiple stories, evaluating the pollinating process of intended ideas. We also engaged in a group conversation to evaluate the process that radically challenges roles within a traditional production model and develops new possibilities for multiple and mixed reality narrative platforms. Stockholm University of the Arts and SADA, supported by CILECT (The International Association of Film and Television Schools), have gathered a group of internationally distinguished scholars, researchers and professionals who will provide the basis for interaction with a special focus on narrative, design/world building and interactivity. The event will take place on the island of Fårö, Sweden where Ingmar Bergman lived and shot several of his world-renowned works such as Persona or Scenes from a Marriage. Alongside experts and scholars Linda Aronson, Sarah Wolozin (MIT), and Katerina Cizek, Alex McDowell and Juan Diaz B will be working at this unique event to introduce the audience to design and world building methods through a practical example of the RILAO PROJECT in a world building workshop, and to discuss world building as a the foundation for narrative design practice for the future of post-cinematic multi-platform storytelling. Registration for "Awesome Bergman” the seminar/workshop at Fårö, Sweden 7-9 September 2015 is still open! Wbi BLAST is edited by Alex McDowell and designed by Matchbox Creative. © 2015, Wbi | The Future of Immersive Design. World Building Institute is an Organized Research Unit within the USC School of Cinematic Arts. It is a non-profit organization dedicated to the education and dissemination of World Building. We are a group of designers, scientists, artists and educators who like learning about seeing about creating better worlds. Wbi thanks its founder partner USC for their continued support.